However, whenever I view my profile, it's still there. How do I get rid of this? (I assume that's what this line is showing - I could be wrong). 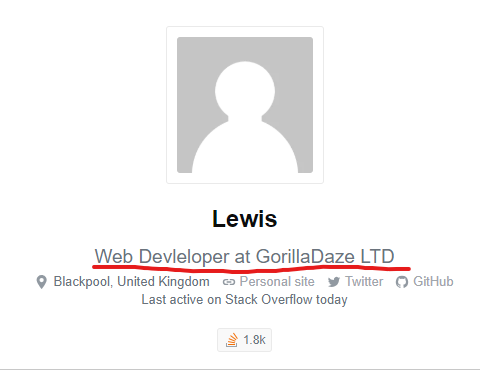 I have added other job titles since this one yet it still shows. Also to note, I can only see this on my profile when I'm logged in - I do not see it in incognito mode (my profile shows as being set to public).